Members of the band of 107th U.S. Colored Infantry Group in Arlington, Virginia, in November 1865. Many today believe that black troops in the Civil War were given inferior or shoddy arms and equipment?in part because black units in World War I and World War II were inadequately equipped. 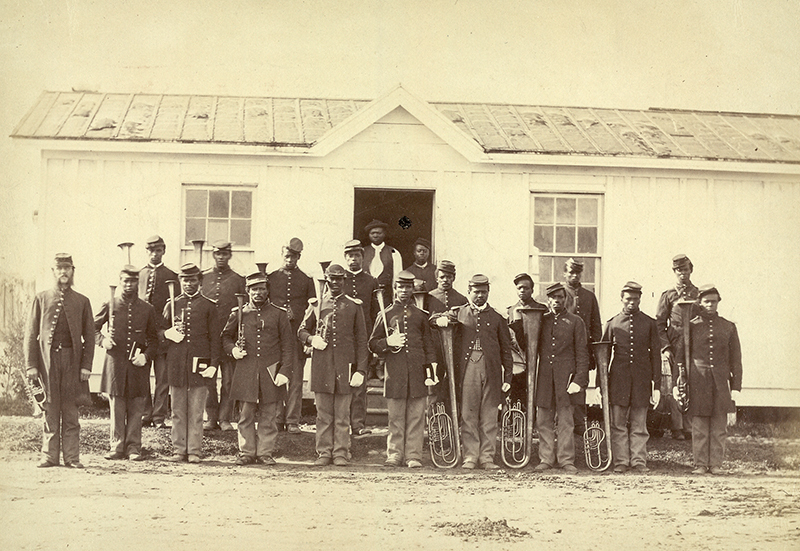 Because most black regiments were raised well after the Civil War's start they received new equipment and uniforms, identical to that given to white soldiers. This included instruments for the regimental band. Courtesy of Library of Congress. Photograph by William M. Smith.